SANTIAGO, August 22, 2017 – Advent International, one of the largest and most experienced global private equity investors, today announced that it has agreed to partner with the founding Martinez family to acquire a significant equity stake in Enjoy S.A. (ENJOY:CI), the leading gaming and resort operator in Chile and Uruguay. 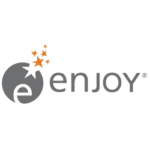 Enjoy will remain publicly traded and the Martinez family will retain a substantial equity ownership position in the company. Advent’s investment will be made through a capital increase of up to US$170 million and tender offer, according to Chilean regulation, for up to 100% of the shares that shareholders are willing to sell in the tender offer. Founded by the Martinez family in 1975, Enjoy has over 40 years of experience in the industry and has become a leading gaming operator in Chile and Uruguay. The company owns and operates ten casinos and ten hotels in Chile, Uruguay, Argentina and Colombia, with more than 6,000 slot machines, 350 gaming tables, 1,200 hotel rooms and 30 restaurants. Advent has been operating in Latin America for over 20 years and during this time has completed 55 investments across the region. Its network of 40 investment professionals working across Bogotá, Buenos Aires, Lima, Mexico City and São Paulo is the largest dedicated private equity team in the region. Throughout Latin America, Advent has raised over US$6 billion of capital focused on the region. Its latest Latin American fund, LAPEF VI, raised in 2014, has US$2.1 billion of capital. In this transaction, Credit Suisse is serving as financial advisor to Enjoy and Morgan Stanley and Ernst & Young are serving as financial advisors to Advent. Bofill Mir & Alvarez Jana is serving as legal advisor to Enjoy, while Claro & Cia and Baker McKenzie are serving as legal advisors to Advent. Enjoy is one of the leading companies in Latin America’s entertainment industry. The company has over 40 years of experience in gaming and has developed a “one-stop entertainment” model that offers Gaming, Hotel services, Food & Beverages, Events and Tourism. Enjoy owns and operates 10 casinos and 10 hotels in Latin America, and has commercial offices in various cities of Chile, Uruguay, Brazil and Argentina. Enjoy has Casino & Resort operations in several Chilean cities, as well as in Argentina (Enjoy Mendoza), Uruguay (Enjoy Punta del Este) and, since 2016, in Colombia with Enjoy San Andrés Casino. Founded in 1984, Advent International is one of the largest and most experienced global private equity investors. The firm has invested in over 325 private equity transactions in 41 countries and as of March 31, 2017, had $39 billion in assets under management. With offices on four continents, Advent has established a globally integrated team of 190 investment professionals across North America, Europe, Latin America and Asia. The firm focuses on investments in five core sectors, including business and financial services; healthcare; industrial; retail, consumer and leisure; and technology, media and telecom. After more than 30 years dedicated to international investing, Advent remains committed to partnering with management teams to deliver sustained revenue and earnings growth for its portfolio companies.